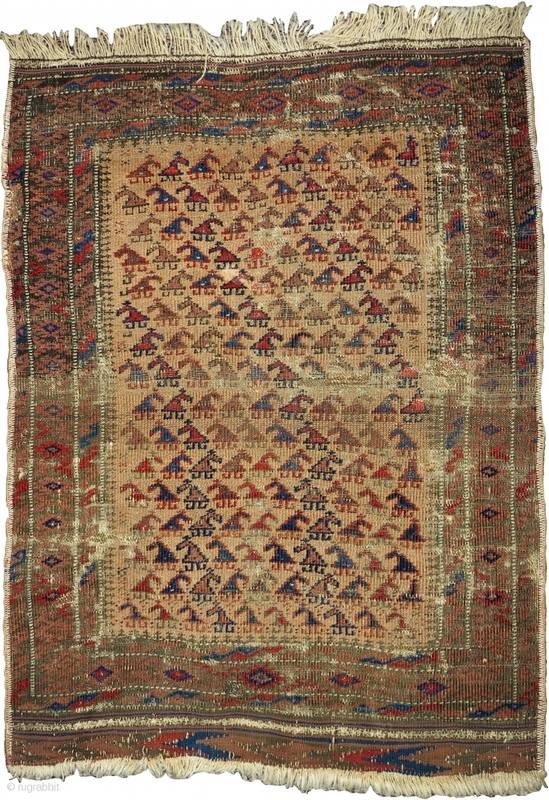 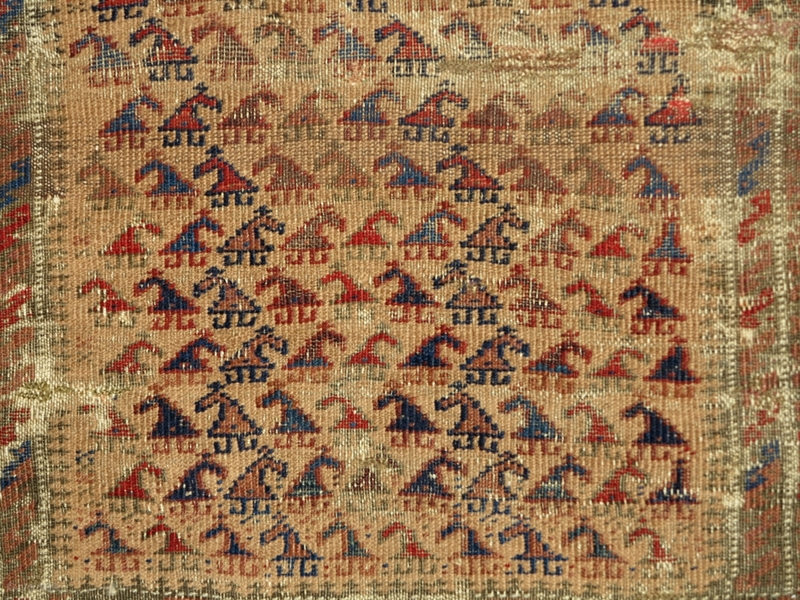 Small camel-ground Baluch rug with zoomorphic looking botehs. Very cute piece with some damage but complete. 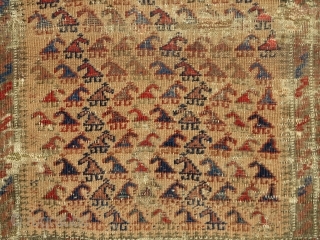 size= 26"x37"